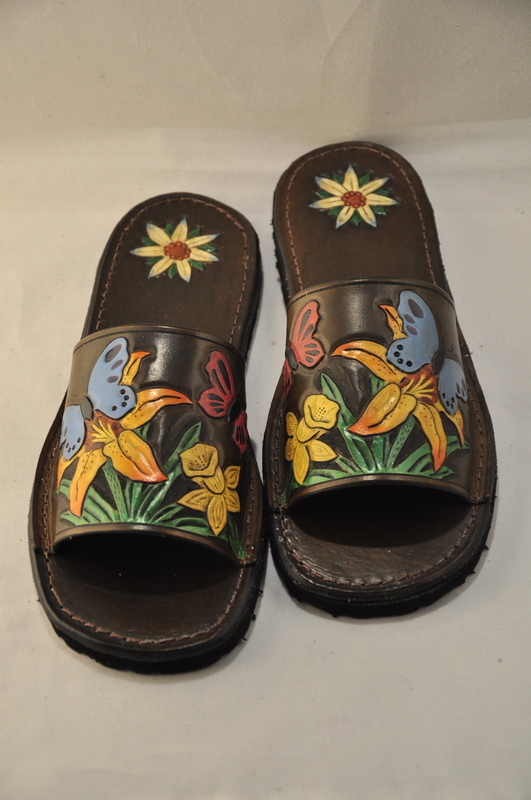 I have had the good fortune to collaborate with Renee Canady – an accomplished leather worker – on making a pair of sandals, to show what can be done with carving and tooling on footwear – that isn’t a pair of cowboy boots! She did the carving, tooling, painting and dyeing, and I assembled the sandal. Aren’t they gorgeous! I hope you’re getting plenty of opportunity to show off your amazing works of art, Renee, now that lilies and daffodils are actually blooming. Am I right that you first carved the band, then tooled it, then coated the sandal completely with neets foot oil and let it dry over night. Yes, that was my process. How did you make such a beautiful edge on the leather sole and band? 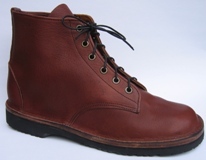 This is an edge beveler http://www.tandyleatherfactory.com/en-usd/search/searchresults/8076-296.aspx that you run down the edges on top and then on the bottom, then dampen the leather, not soaking wet just damp, then you use http://www.tandyleatherfactory.com/en-usd/search/searchresults/8122-00.aspx which is a slicker and they come in different types. There is a wooden one that has multiple sizes in one tool that I like a lot. With the slicker you just rub it back and forth on the damp edges until it kinda smooths the leather together. People also rub beeswax across the finished edge, but if you choose that path be sure your dying is complete because additional dye WILL NOT stick to the beeswax. 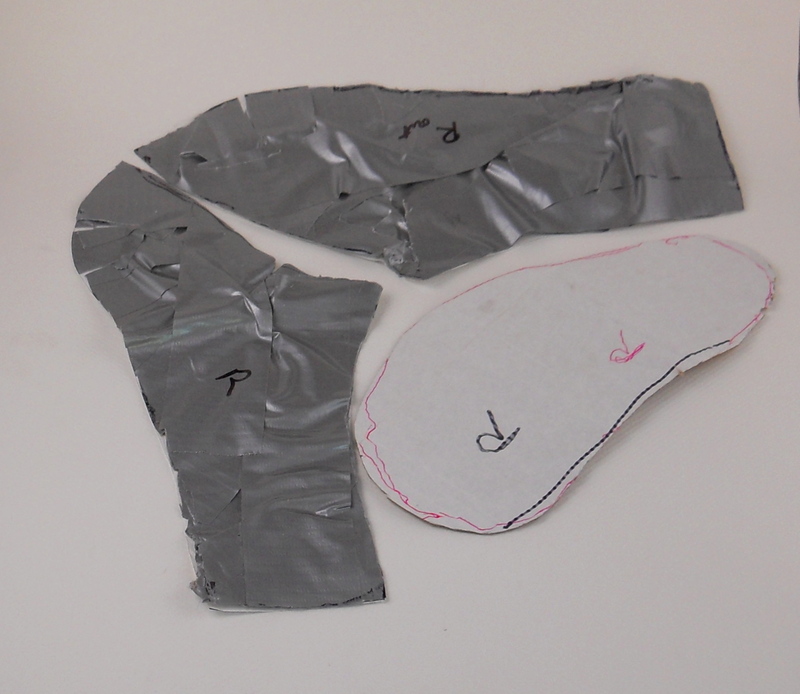 If I were making the entire sandal myself I would stitch the sole and upper together, bevel the top edge (which is now the top of the strap) and the bottom of the sole, wet, and use the slicker so both pieces would now look blended as one. I would then cement it to the rubber sole. On this project I could treat the edges after carving because it wouldn’t matter when I did it, since each piece was being used as a separate piece of leather. What was the weight of the leather for the soling and the band? 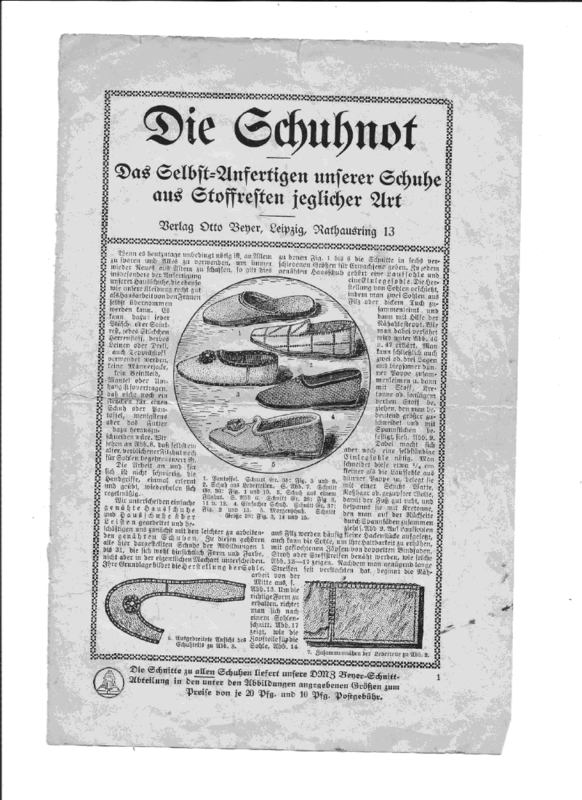 The weight of the sole was 8-9 ounce and the strap is 4-5 ounce. I usually purchase my vegetable-tanned leather from Tandy Leather Factory. I dyed the edges with a product called Edge Kote. Did you finish the edges with hand tools? Yes, the beveler and slicker are both done by hand. On the Tandy Leathercraft site there are a few free videos, one of which is the use of an edge beveler. 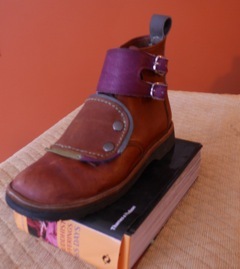 I used a #4 beveler for the sole and a #2 for the strap. The thicker the leather the higher in number you want. The wooden edge slicker is better because it is for many weights of leather. The plastic one will work but since it is only like a $2 difference I would go with the wooden one. It kind of looks like a bobbin from an old spin wheel. 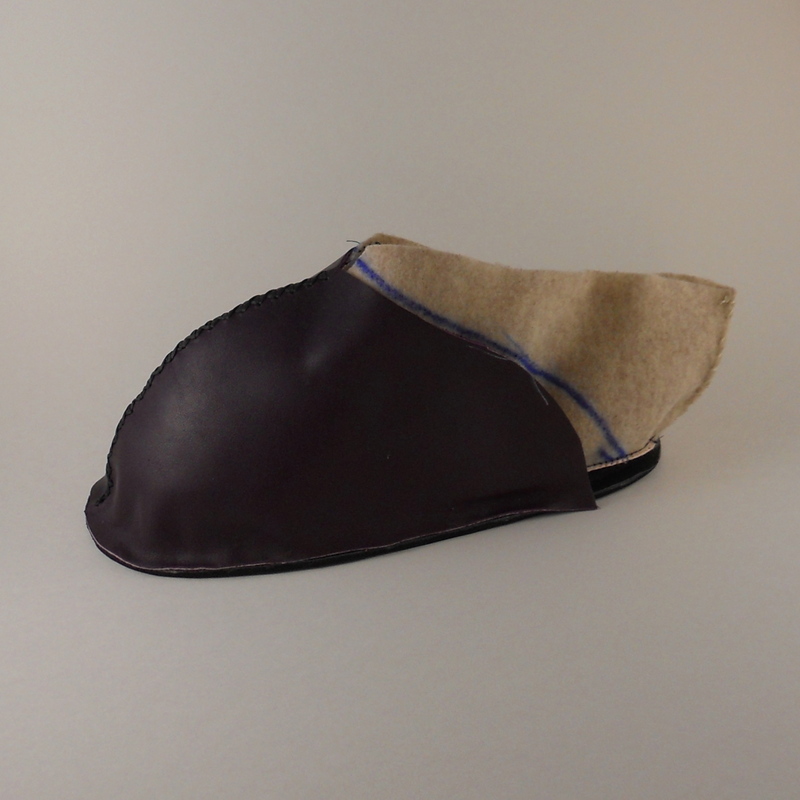 If you use two layers of leather, be sure not to bevel their edges until you have cemented them together. You don’t want to cement two finished edges against each other or you may have a small gap on the very edge. When you use two thicknesses of leather and bevel one side of each, then slick them, you won’t be able to tell there are two leathers there, it will just blend them into one. What paint did you use on your carving? I used Fiebing’s acrylic dye which is the colored paint you see. A cheap secret to that acrylic paint from the craft store that are $0.88 will also work. For the sandals I used the Fiebing’s acrylic dye though. So, you paint the colored areas first, let dry completely, then use a resist of some sort over the color like Super Sheen or Resolene. I let it dry for about 30 mins or so and then recoat with the Super Sheen/Resolene. This time dry over night. These products will resist any other dye you use after they have dried well. How did you dye the leather? I used a product called medium brown antique gel. I used it as my dye because I love that color of brown. I put a generous amount on sheep’s wool scraps, “mushed” it in a bit and then just went to town with it, covering the entire sandal. You will see areas that are a bit darker/lighter but you can always add more gel to make areas darker or use a soft cloth with a TOUCH of water to blend in the areas that are too dark, it will lift some dye out. 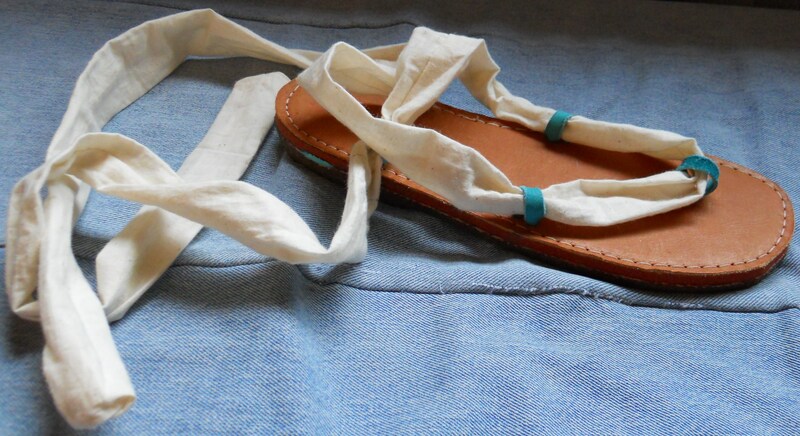 Next, use a soft cloth to buff the sandal. You will notice where you resisted the dye it will look like some is on the colored areas but it will buff off, but will dull your color a tad also. Now you may or may not want to use another finish on it like a spray finish from Tandy. Then I used the Edge Kote on the edges. Next I used Aussie conditioner from Tandy and mush it all in there. 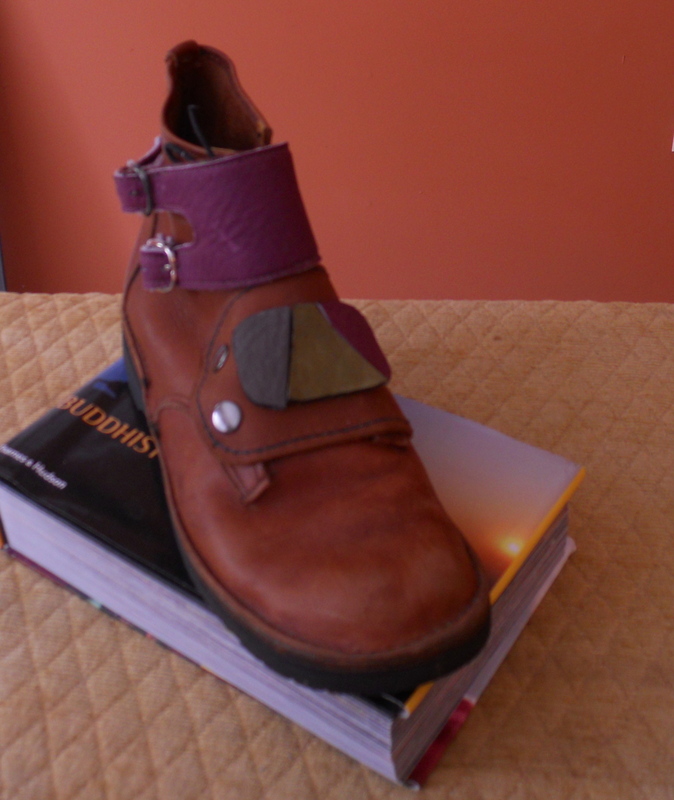 The leather will absorb what it wants and kind of reject what it doesn’t need. Then next day if it appears greasy-looking just wipe the rest off that the leather has rejected. 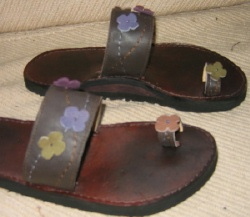 1/28/12: A fellow recently emailed me asking for sandal soles that can be used to make “capri” sandals. 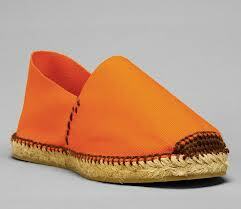 He provided me with the link http://www.canfora.com/en/content/4-the-capri-sandals. these soles. So, I have decided to offer them for sale. I have a die press to cut out the soles, a Danny Marlin groover to make the groove for the stitches on the bottom sole, and a Cowboy stitcher for stitching the soles together. The fact that the soles are stitched together makes them perfect for me to make, since I don’t use toxic shoe cements. 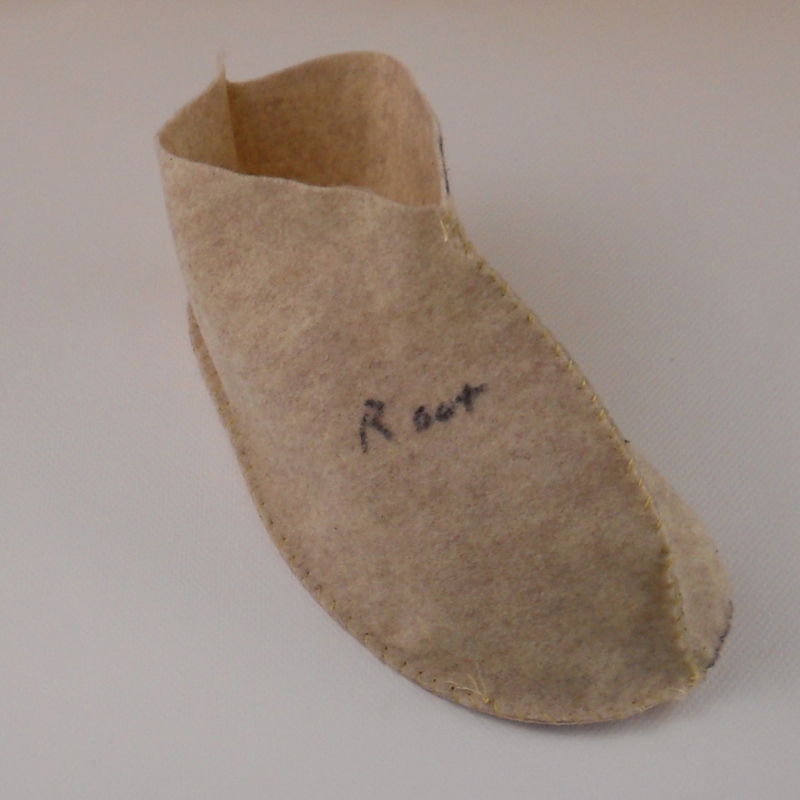 The alternative cement I use will not hold a sole on by itself, so my soles are always stitched in their final stage. I’m looking forward to putting the soles for sale on my etsy shop. www.etsy.simpleshoemakingshop.com. 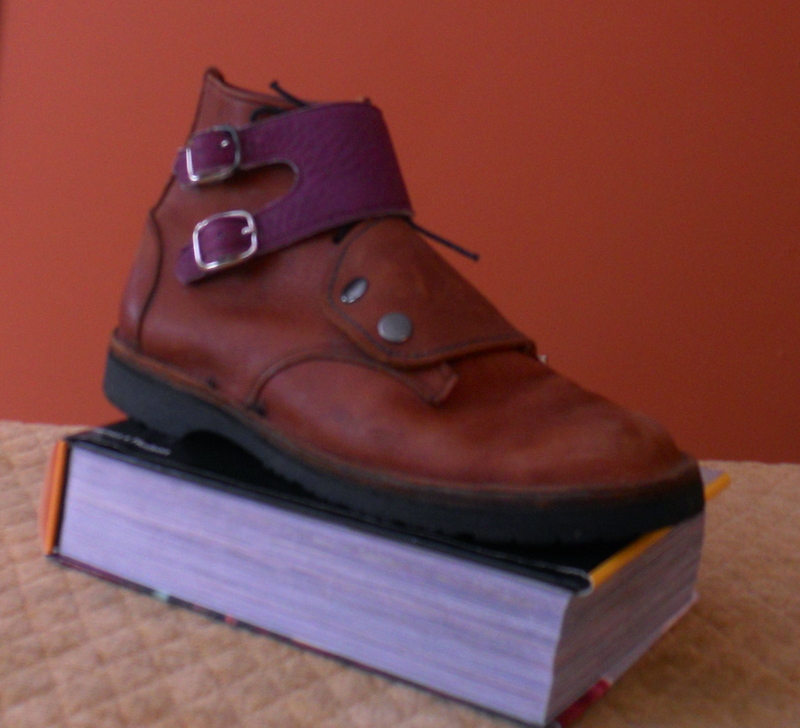 My book Slow Sandals will teach you how to make the soles for yourself if you’d prefer that approach. 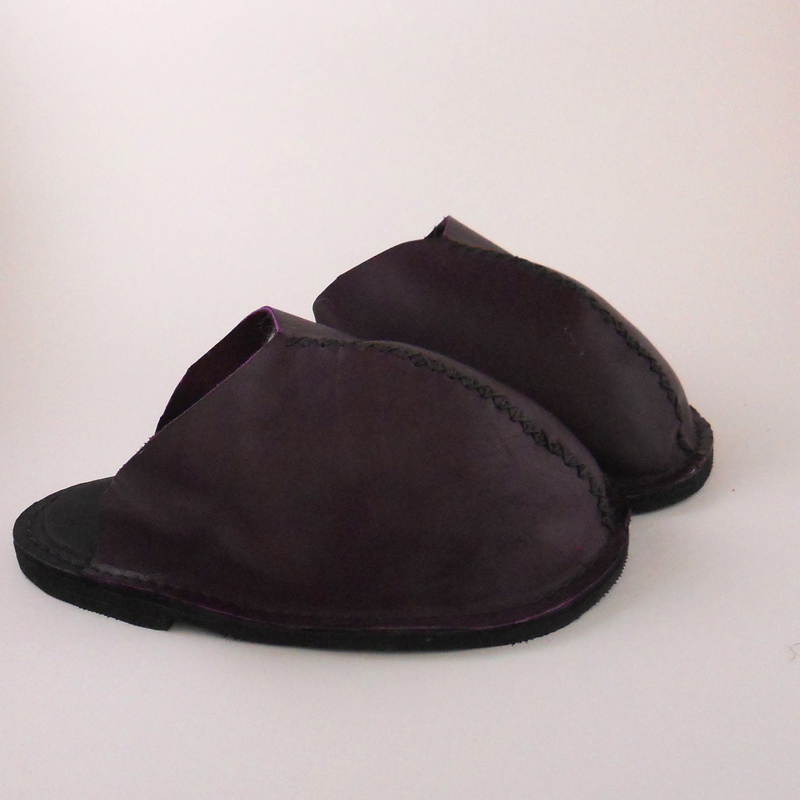 The designer can create sandals for the customer in just minutes. These soles will supplement the sandal soles that I already have in the works – these have three loops on them, through which a long tubular piece of cotton or silk – or thin leather – can be threaded, then wound around your leg, just like the sandals I see on the feet of every model on the web (mostly in high-heeled versions) strutting down a runway. I’m hoping these soles will make many small businesses possible.